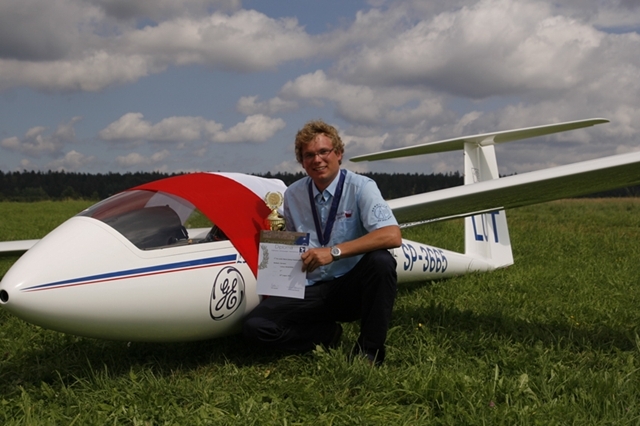 L ukasz Grabowski, EDC Aviation engineer, about whose Polish Gliding Championship we wrote here, has won 2nd place in 7th Junior World Gliding Championship in Germany. 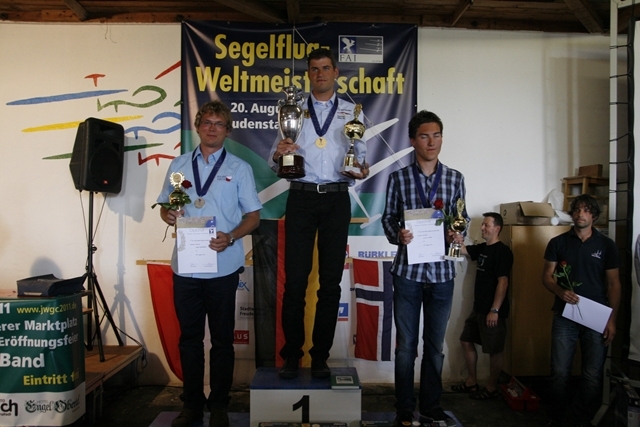 The championship was held in Musbach, in the south-western part of Germany between 5th and 20th August 2011. 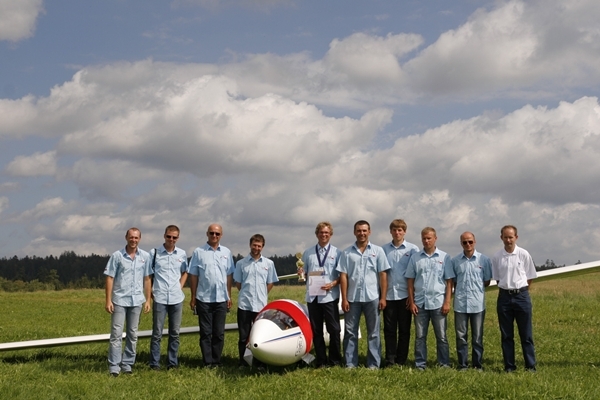 Lukasz flew in the Standard class which included 37 pilots from 18 countries all over the world. 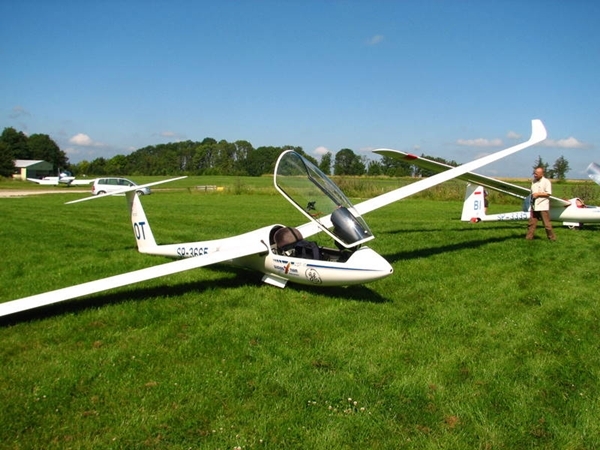 He flew an LS-8, a Germany-manufactured glider which had emblems of EDC, GE and the Warsaw Institute of Aviation on it. 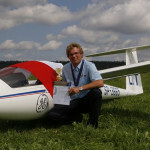 The competition consisted of different tasks every day but the main goal was to obtain the highest average speed on the route set by the organizer or on the distance covered in case the pilot did not reach the final destination – the airport. 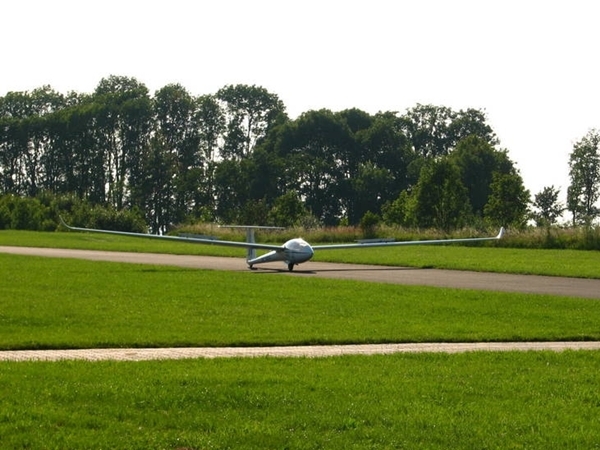 If it happened that no participant managed to finish the flight and everybody landed in the fields, the most point were supposed to go to the pilot who covered the longest distance. 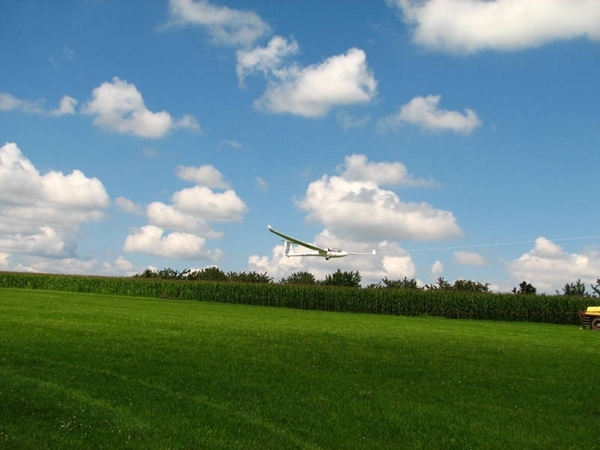 The weather enabled completion of 6 tasks. Most often, the conditions ranged from difficult to very difficult and required a lot of persistence and patience from the pilots. 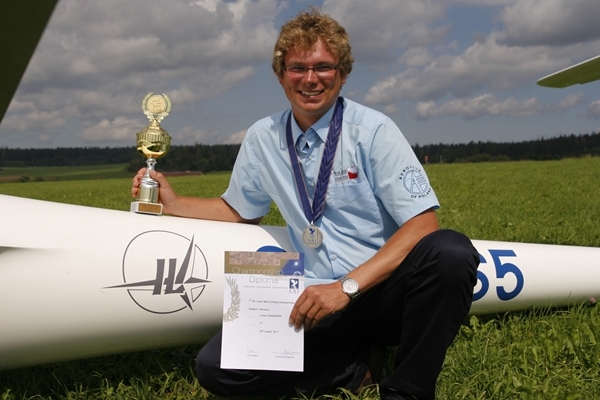 Finishing the set route was not a given – even Lukasz, who in the end took the high 2nd place, landed in the field three times. Lukasz didn’t kick off the competition optimistically. 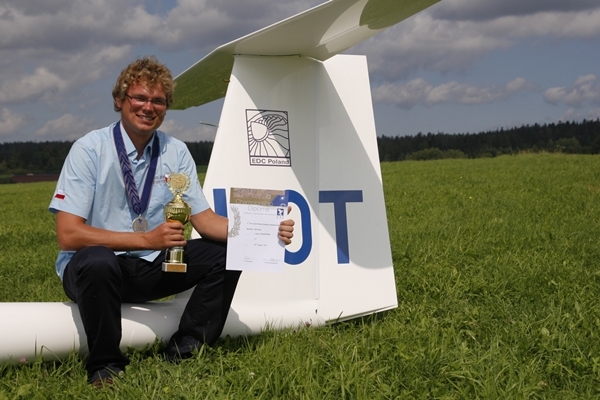 He ended the first two tasks with the 17th rank but later obtained better results and was going up the classification step by step – up till the 5th rank before the last task. The final day of the competition was nerve-wrecking. The differences between the participants were very small and anything could happen. 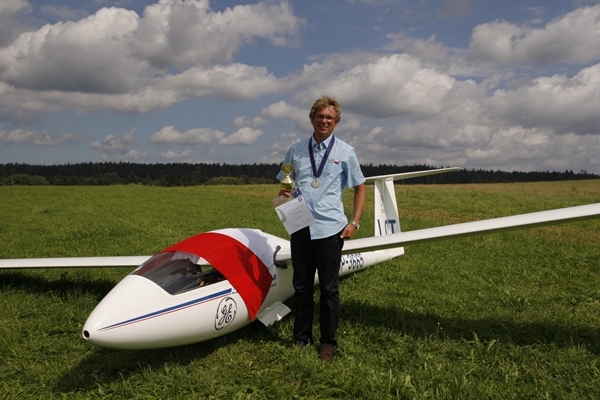 Lukasz admits that his last flight was far from ideal as some of his tactics failed but luck was with him that day – three pilots classified higher obtained worse results and in the end landed in the second spot. This success is a beautiful wrap-up of Lukasz’s junior career as next year his age will force him up into the senior category. Congratulations and good luck for the future! Those interested can see the particulars of the official results here (in English) and read detailed accounts from every day of the competition here (in Polish).